I wanted to start this thread just because, as China is the largest TD-LTE market in the world, it might be interesting to see what happens with LTE there. I’d be very interested to here people’s insights into Chinese mobile market, what experiences they’ve had, what they’ve heard, etc. So, here’s an overview of the Chinese mobile market: the mobile telephony market is state controlled, with three providers, China Mobile, China Unicom, and China Telecom. China Mobile and China Unicom both have GSM/EDGE based 2G networks, while China Telecom uses CDMA/1x technology. Facing a boom in mobile phone use and a telecommunications system that was not designed for the 21st century, in 2008 the Chinese government revamped the telecommunications industry combing the six Chinese landline carriers into three carriers. Before being revamped, two of those carriers offered mobile services: China Mobile offered GSM service and China Unicom had a GSM/CDMA network. After the reorganization, the Chinese government took the CDMA network and gave it to China Telecom. Three networks for three state-owned telecommunications companies. The Chinese government then made an interesting decision: have each of the three major carriers use a different 3G technology. China Mobile, by far the largest provider in China and also the largest mobile provider in the world, was the first to be given a 3G license (in hopes of giving TD-SCDMA and advantage), and was ordered to build a network using TD-SCDMA (Time Division Synchronous Code Division Multiple Access), a mobile data standard that is proprietary to China, and that, despite China's best hopes, was never adopted by any other mobile provider in the world other than China Mobile. As I understand it, TD-SCDMA is a varient of the UMTS standard using TDMA (with some components of CDMA) instead WCDMA as the air interface. The standard was invented in hopes of skirting royalty payments to any foreign companies), and in my experience is generally mediocre in performance. It was designed to compete with the original UMTS/WCDMA releases and CDMA EV-DO and as such, although rated at 2.8Mbps down, its performance is on par with saturated EV-DO Rev. A. China Unicom was granted a 3G license to operate a WCDMA network in the world standard 2100mhz band, giving it a huge leg up as it was using a global standard. It’s been upgraded continuously and is now an HSPA+ network, the most popular 3G network in China. Its popularity was greatly aided by the fact that imported iPhone’s would work on China Unicom 3G. Fast forward to today, China has once again tried to form its own standard, but this time with more success in having it adopted around the world. 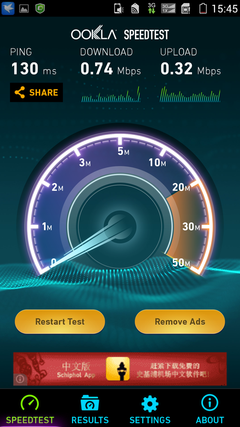 That is our much beloved TD-LTE. This time, however, China is going all in with the technology. To date, Chinese regulators have issues 4G licenses to use TD-LTE to all three Chinese carriers, and all three have launched TD-LTE networks to one degree or another. The Chinese government has agreed to also issue FDD-LTE (“regular” LTE) licenses to China Unicom (continuing their path as the Chinese operator using international standards). Once those are issues, China Unicom will add on FD-LTE to their TD-LTE network, using Band 7 (2600mhz FDD scheme), and will operate a dual-technology network. China is one of the only other countries out there in the world that actually uses one of the same LTE frequencies as Sprint, and China Mobile specifically has plans to build upwards of 200,000 TD-LTE base stations in 100 cities by the end of this year. Band 41, the same as Sprint uses for its TD-LTE which was acquired during the Clear acquisition, is the primary band being used in China and, as far as I know, is the only band on which TD-LTE has been deployed in China so far. A large swath of band 40 (2300mhz TDD spectrum) has also been allocated for “indoor-only use” – but as far as I know it hasn’t been deployed and I am not totally sure what it is even for. China with likely open up other bands to LTE over time, but for now it’s all band 41. I spent the summer in China with my Sprint LG G2 which was unlocked for international use. I also had a hack which allowed me to use the Phone Info app (which allows you to select LTE/EvDo/CDMA, WCDMA/GSM, LTE/WCDMA/GSM, etc). That being said, even though I was able to get HSPA+ using my China Unicom SIM card, I was never able to connect to LTE, I also tried an LTE enabled China Mobile 4G SIM card, and wasn’t able to connect then either. Since the technology is compatible, my assumption is Sprint has disabled it on the radio level, only unlocking 2G and 3G for international roaming. In addition, I got my hands on a China Telecom CSIM, and it worked in the phone for making a receiving calls with no changes in settings, although I wasn’t able to get data to connect. Hope people found this interesting!! 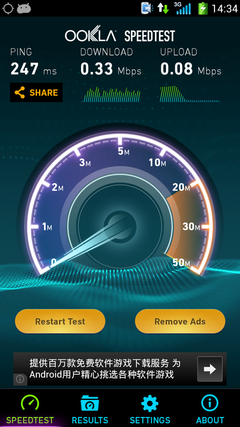 I spent the summer in China with my Sprint LG G2 which was unlocked for international use. I also had a hack which allowed me to use the Phone Info app (which allows you to select LTE/EvDo/CDMA, WCDMA/GSM, LTE/WCDMA/GSM, etc). That being said, even though I was able to get HSPA+ using my China Unicom SIM card, I was never able to connect to LTE, I also tried an LTE enabled China Mobile 4G SIM card, and wasn’t able to connect then either. Even in LTE only mode? Why would you rule that out? Qualcomm baseband modems have supported TD-SCDMA for several years now. 2) I can gift my used sprint phone to my relatives when I upgrade to a new phone. My relatives are not tech savy and I don't want to play tech support dealing with rooting/modding from half way across the planets. On those counts, I have no idea. FCC OET authorization documents rarely mention foreign band and airlink capabilities -- because they are irrelevant in the US. The only way to test here would be to pop in a foreign SIM and use a kilobuck signal generator -- which is potentially illegal outside of a shielded RF lab. Otherwise, you are left with trial and error once you travel to Canton. China Mobile itself is moving to abandon the technology as it rapidly refarms it for auxiliary LTE TDD and merges some of its network operations with China Unicom (who operates the WCDMA network in China along with a GSM network like China Mobile). You will find it extremely unlikely to see TD-SCDMA on a non-China Mobile device. Even in two years, you may even find it rare to see CDMA on China Telecom devices and TD-SCDMA on China Mobile devices, as the network platform is consolidated to match international configurations. I thought TD-LTE was an international standard and not one created by China? TD-LTE is but your handset may or may not support whatever band they are using for TD-LTE. TD-SCDMA is the wierd China only mobile standard that is being slowly abandoned for UMTS/WCDMA and LTE.